On June 21st, the NHL will be taking part in a historic event. The Las Vegas Golden Knights will begin molding their roster by taking part in the expansion draft. Vegas must select at least one exposed played from all 30 NHL clubs. All Clubs must expose 1 Defenseman who are A) Under contract in 2017-18 and B) Played in 40 or more NHL games in the prior season, or played 70 or more NHL games total in the prior two seasons. All Clubs must expose 2 forwards who are A) Under contract in 2017-18 and B) Played in 40 or more NHL games in the prior season, or played 70 or more NHL games total in the prior two seasons. The Las Vegas franchise must select one player from each presently existing club for a total of 30 players. The Las Vegas franchise must select the following number of players at each position: 14 forwards, nine defensemen and three goaltenders. The 30 NHL clubs will released their protected and exposed lists by 6/17 — allowing for the fans to play armchair GM. Here is a little preview of who I think will be protected and exposed by all 30 NHL franchises. Vegas will take a flyer on the 24 year old 2011 1st round pick. Seemingly shunned by both Claude Julien and new Bruins Head Coach Bruce Cassidy, Morrow only dressed in 19 regular season games in 2016-17. When 3 of Boston’s top 6 defenseman all went down, Morrow stepped into the lineup for 5 playoff games. He finished with 1 assist, a +1 rating, and averaged 21.96 minutes of ice time. Morrow could be a great pick for Vegas. He is young and can move the puck really well. He has got great skating ability — but decision making and coverage can be a major weakness. 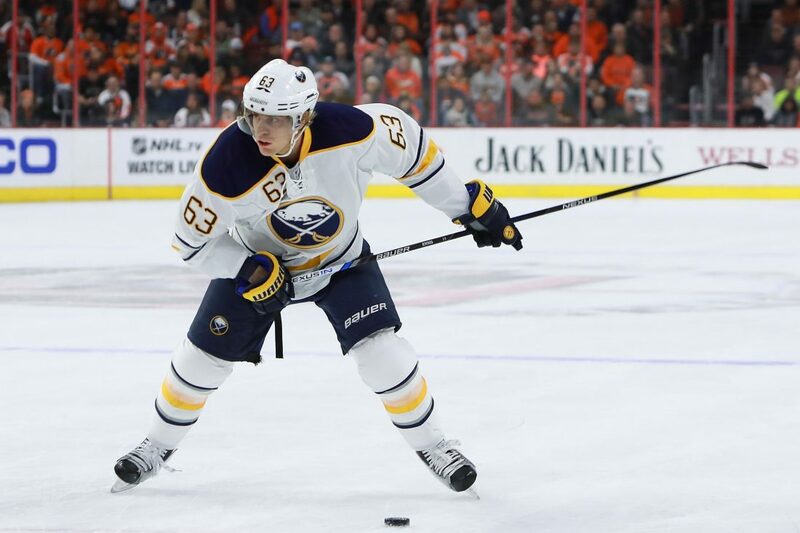 Slim pickings from the Buffalo Sabres — but Tyler Ennis has shown he can be a goal scorer at the NHL level. He has shown that when on his game, he can put up 40-50 pts any given season. However, the last two years he’s combined for just 24 points in only 74 games played. Nothing much to see here — Helm is a solid veteran center who would be able to played on the 3rd or 4th line easily. He will be able to fill in with spot duty in Vegas’s top 6 should injuries occur. The consensus out there seems to be that Vegas will select either Petrovic or Pysyk. I went with Pysyk simply due to upside. Originally a first round pick of the Buffalo Sabres in the 2010 draft, Pysyk presents the ability to skate and move the puck. Petrovic is a more prototypical stay at home defenseman. Vegas probably doesn’t want to select anyone from this wretched organization, but rules are rules. Plekanec is well past his prime of being a top 1-2 center on his team. He’d make for a solid 3rd line center on a young team. Au revoir to the turtling turtleneck. Seems to be the consensus out there that Ottawa would not protect Bobby Ryan — he’s been on the decline for quite some time and his contract is absolutely atrocious. Ottawa may change Ryan’s status after his 15 pts in 19 playoff games this season. Vegas will likely snap him up as a top 6 winger, and a way to get to the Salary Cap floor. 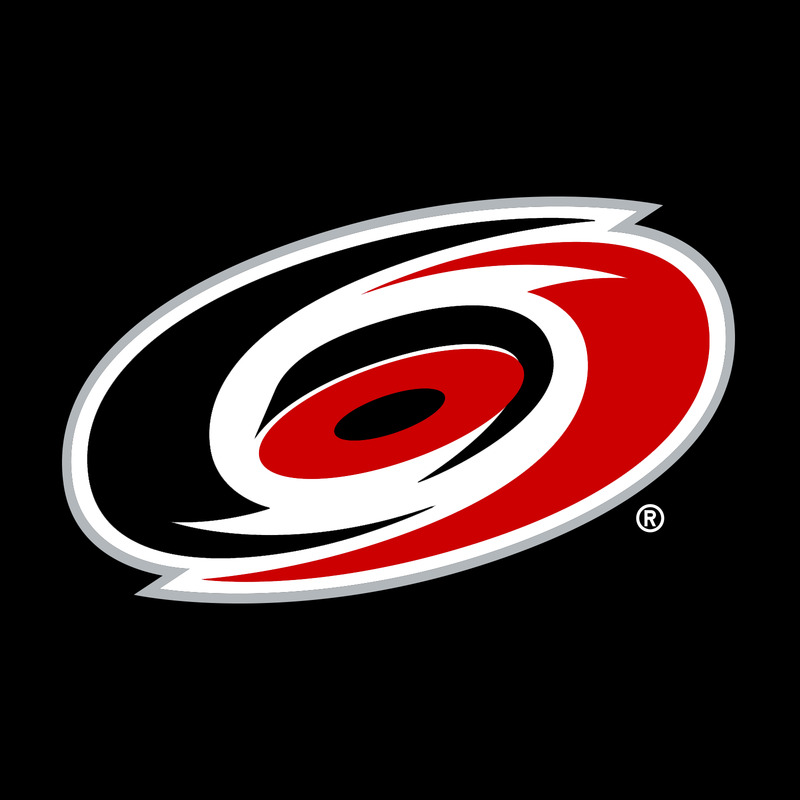 Forwards they will Expose: LW Byron Froese, C Gabriel Dumont, LW Michael Bournival, LW Tye McGinn, C Cedric Paquette, RW Erik Condra. Coburn is a solid veteran defenseman with loads of experience playing big minutes. 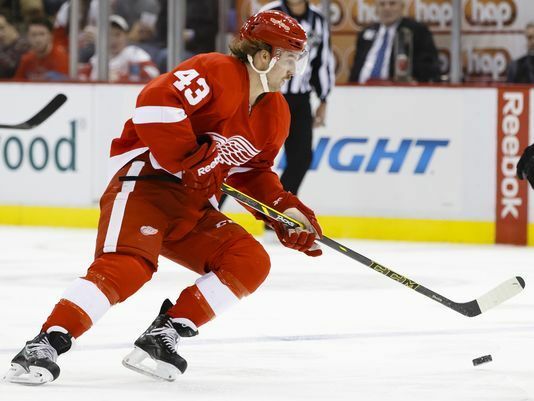 The 6′ 5″, 225 lb Coburn can still log top 4 minutes but his best days are behind him. Would be a solid addition to a likely young Vegas squad. Ahhhh Seth Griffith. Once a highly touted prospect in the Bruins organization, he’s just never been able to figure it out at the NHL level. Playing for three organizations in 2016-17 didn’t help that. Vegas will take a shot on the AHL goal scorer. Seems that McGinn has been the unanimous pick at various media outlets. Can’t say I disagree — he presents some nice upside at a young age. McGinn is a two way forward who is just 23 years old. Columbus will have a tough time when they have to release their lists. They have quite a few aging veterans with No-Movement Clauses or full No-Trade Clauses, which would leave them exempt from being exposed. Consensus out there seems to be Korpisalo would be the pick by Vegas. He’s a solid backup who can make up to 30 or so appearances. He finished 2017 with 14 appearances, 2.88 GAA, and a .915 save %. The young Finnish goalie would make a great backup and he’s only 23. Eventually he could develop into a full time starter. Nothing but trash to pick from the team that holds the #1 overall pick in this June’s NHL Entry Draft. Couldn’t hurt Vegas to pry Cammalleri if he is exposed. Once a gifted scorer, his goal totals declined as his age rose. The Devils will look to expose him to relieve themselves of the $5 million dollar cap hit. If not, look for the Devils to try and get a return for Cammalleri by trading him. Pulock would be the pick of the draft for the Knights. If he’s available, they will take him no questions asked. The Isles are in a bit of a bind as they have to pick between Calvin De Haan, a good young defenseman, or Ryan Pulock, who is also a very talented young defenseman. De Haan is more of a finished product, which is why I can see the Isles leaving Pulock exposed. Should Vegas pick him up — he has the potential to play top pairing minutes. Forwards they will expose: LW Matt Puempel, C Brandon Pirri, LW Taylor Beck, RW Michael Grabner, C Daniel Catenacci, C Chris Brown, LW Matt Hrivik. Coming off a career year in 2016-17, Grabner would be a solid pickup for the Vegas squad. Grabner netted 27 goals and 13 assists this season but don’t count on this type of production consistently. He is however, one of the fastest end to end skaters in the NHL. He is a great Penalty Killer and a solid depth scorer. Off season surgery to the Rangers’ Jesper Fast could mean Grabner is exposed. The thought of snagging Matt Murray is quite tempting, but having a plethora of young mobile defensemen is far superior to goaltending. 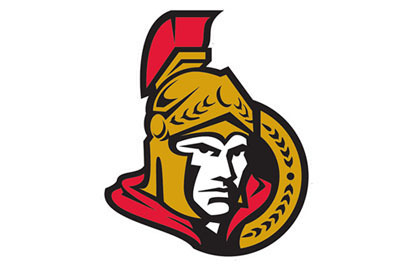 Pouliot is a young offensive minded defenseman who will be great anchoring the Knight’s power play. Vegas gets its starting goalie from the Flyers. Mostly splitting time with Steve Mason Nuevirth has shown the ability to be a mid-level starter in the NHL. Everything else Philly can offer leaves this one as a no-brainer. 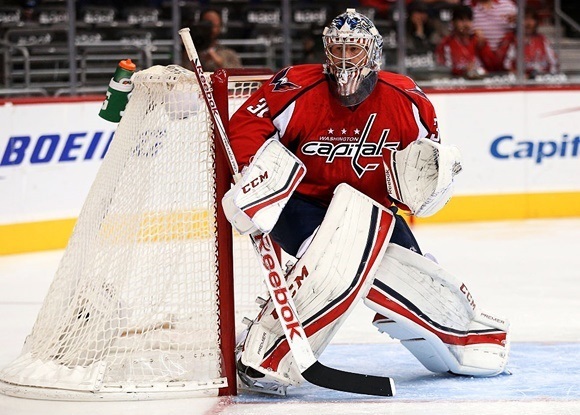 Grubauer rounds out the goalies for Vegas – solid backup but that’s about it. Could either be a backup in Vegas or a starter down on the farm. That wraps it up for the Eastern Conference — stay tuned for my western conference mock next week! Next postStanley Cup Final Game 5 Recap.